I have a balcony in Washington DC that gets a lot of wind and sun. I've had luck growing thyme and chives, but that's about it. I have two trellaces and four 18x18" teak containers where I've tried to grow butterfly bushes, tomato plants and basil, none of which have survived. I planted two honeysuckle vines, and one is completely dead. The other is fine, but not very lush. What can I plant that would survive the windy, sunny conditions on the balcony and would meet any one of these needs: 1) last all year round 2) survive the wind and sun in the summer 3) be good to plant now for fall I would also like to plant something tall enough in my 18x18" teak planters that could provide some privacy. I'm concerned about planting something like a crape myrtle because it could get too big and get swooped up by the wind. I would be grateful for any advice you've got. Many plants can be grown on an outdoor balcony. 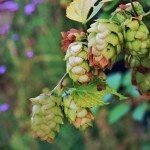 I've listed a few links for you to help you with some plant choices for your growing conditions.